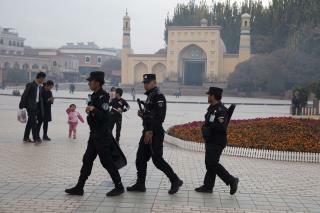 (Newser) – Rahile Dawut hasn't been seen for eight months—and some are calling it proof of China's intensifying crackdown on the Uighur ethnic minority, the New York Times reports. A 52-year-old academic, Dawut wrote and lectured across the country about Uighur folklore, shrines, and music, and even received official government support. Then she vanished on a trip from Beijing to the Uighur-dominated Xinjiang region in December. "Virtually all expressions of Uighurs' unique culture are dangerous now, and there's no better evidence of that than the disappearance of Rahile Dawut," says an academic at Loyola University New Orleans who has researched Uighurs. "There was a lot of hope that they would see that she was a nonthreat and release her, but that hope gradually dwindled." Was it PBS or BBC that just covered a case in Kazakhstan of a Muslim woman accused of being an illegal immigrant when testimony that her passport was taken by Chinese police who have confined hundreds of thousands without any charges or officially documented actions to re-education camps because they are suspected often by name alone of being Muslims? Trump supporters bragging they'd rather live under communism than Democrats ought to take notice shouldn't they? The UN never said that there were internment camps. They said that the Uyghurs are now living under such strict surveillance and security that is is "Like an internment camp" . An ignorant person misread the statement. Now an equally ignorant journalist is reporting that these "internment camps" exist and hold a million people. What a cycle of ignorance gone out of control! The PRC has been kidnapping citizens of Hong Kong as well, including a book publisher who was in Thailand when he was kidnapped and take to the People's Republic of Prison.